How Does Your HR Budget and Staffing Compare? 3 Reasons You’re Never Fully Staffed! Is Your Fitness Franchise Staffed Up for New Year’s Resolutioners? 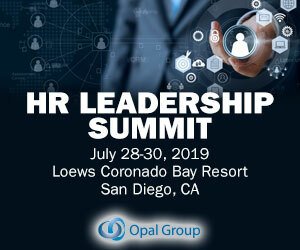 Growing the business, competition for top talent, and doing more with less, are some of the issues that preoccupy the minds of staffing and recruiting leaders around the world. This is just one of the findings from LinkedIn’s recently released 2017 Global Staffing Trends report. Additionally, 79% expect to see an increase in the volume of candidates placed in 2017. The post 2017 Global Staffing Trends appeared first on SkillSurvey. Our 2017 Workforce Management Trends survey gave great HR insights about the current challenges and priorities for this year. Employees in the Human Resources department undoubtedly have the clearest understanding of the staffing needs of their organization. For any HR/Talent Pro who lives with the concept of staffing levels – becoming ‘fully staffed’ is the nebulous goal that always seems to be just out of arms reach. I’ve lived staffing levels in retail, restaurants, hospitals, etc. What you don’t know is why this type of forecasting is so broken when it comes to staffing. And the staffing levels argument goes around in circles with finance. This blog post includes an excerpt from our paper highlighting key findings from the Cox Automotive Dealership Staffing Study. Get the report: The 2017 Cox Automotive Dealership Staffing Study: Key Trends & Takeaways for Your Team. The DATIS 2017 Executive Priorities Survey received responses from over 400 Health and Human Services executives. These three top trends were identified in our 2017 State of Workforce Management survey earlier this year. The DATIS 2017 Executive Priorities Survey uncovered many eye-opening statistics about the Human Services industry workforce. Only 18% of Executives Believe Their Organization is Adequately Staffed. These technology-driven workplace changes will continue to spread and accelerate in 2017. Here are five key 2017 workplace trend predictions. One AI technology that is likely to see growing workplace popularity in 2017 is scheduling assistants. Staffing. Uncategorized engagement hardball human resources interview leadership radio recruiting staffing teamImagine Leading a Talent Acquisition Team with an Average of 250 Open Positions per Month. The post Win-Win@Work Interview with Michael Cameron appeared first on HR Hardball™. In April 2015, the staffing industry and others were rocked by the news that retail giant Amazon had been hit with a proposed class action lawsuit. What most people didn’t realise is the fact that Staff Management isn’t the first staffing company to face an FCRA class action. Make sure your fitness franchise is staffed up with enough personal trainers and group fitness instructors to go around at this busy time of year. As New Year’s resolutions get set each year, fitness is top-of-mind for many people. Now that 2017 has arrived, hiring managers and recruiters should be gearing up for the new hiring season. These interviews will be more common in the early, screening phases of an interview in 2017. So how can hiring managers and recruiters make sure they are ready for 2017? 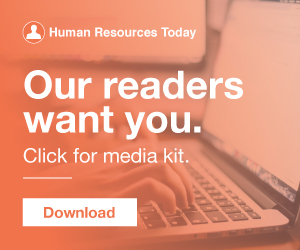 The HR Daily Advisor research team conducted the 2017 Annual Recruiting Survey in January 2017. A total of 413 participants responded to the 2017 Annual Recruiting Survey , representing a diverse array of industries, business types, organizational sizes, and locations. Gaining insight and perspective from a conference speaker is something all attendees hope for and at Staffing World 2017, Stacy Zapar of Tenfold , a recruiting consulting and training company, didn’t disappoint. Zapar gave some excellent tips that staffing firms can use to improve their response rate to job ads and improve their brand reputation. The post Stacy Zapar Gives Great Tips for Recruiters at Staffing World 2017 appeared first on COATS Staffing Software. Staffing exempt FOT hiring Hoops hourly HR Hardball non-exempt recruiters recruiting staffing WebinarVolume recruiting. The bane of the recruiting experience. Agency Recruiting Retention & Engagement Staffing Agencies Talent Acquisition FeaturedWhat’s the price of cheap? Getting a lot of junk that costs plenty in the long run. Only by showing them how to evaluate improvements in staffing, compensation, development, and retention in terms of cost reduction, process times, quantity produced, quality of the outcomes and reactions of the company’s management and employees did they begin to come around. 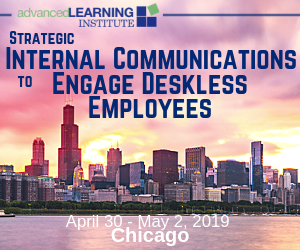 Discuss contingent staffing. One of the things that often happens when you become a supervisor or manager is that you’re invited to participate in the recruiting process. It could be because you’re now responsible for a team of employees. Elevate 2017 , Hireology’s inaugural retail automotive human capital management summit, is officially a wrap. Whether you missed out on the event or were one of the dozens in attendance, see below for several key takeaways from the workshop-style speaking sessions at Elevate 2017.